While participation for this edition of Wine Blogging Wednesday wasn’t at an all-time high, the quality was pretty fantastic. I was thrilled with what people came up with – from all over the nation – when faced with the idea of a Snow Day wine. It was equally entertaining to read not only about the havoc some atypical weather is causing, but how our various locales deal with it. So let’s get to it! We’ll start with the basic reds, which were a favorite over on the rather rainy West Coast right now. Ryan at Oe.no.phile, who recently transplanted from Ohio to Oregon dived into a Spanish blend from Bodegas El Nido (Jumilla) to keep warm. But Ryan wasn’t the only one to turn to Spain. Neil from Wine Expedition, experiencing a slightly damp week in Los Angeles, turned to the Priorat region for the 2005 Cellars Capafons Oso “Sirsell” blend. In Washington, our favorite Walla Walla Wine Woman Catie enjoyed the Tranche Cellars blend and a lovely view of snow-capped mountains. (I can’t wait to visit Walla Walla this summer!) In Oregon, Mary at Vindulge indulged in an Oregon wine that reminded her of a past Oregon blizzard – The Pines 1852 Old Vine Zinfandel. Down in stormy and wet San Francisco, my friend Thea of Luscious Lushes popped open a 2005 Petroni Syrah she got as a gift and imagined a fire in her fireplace. Locally, Tim from Cheap Wine Ratings felt the need for some Italian comfort food and opted for an Italian-style wine with the Luna Vineyards Sangiovese. Kevin, from the Under the Grape Tree blog and Dep’s Fine Wines described his perfect snow day, which included one my own favorite syrahs – Montes Folly. Now on to the sweeter wines that were brought out at the prospect of a snow day. I have to admit, I expected more Ports. Kevin & I indulged in a port here in the Cincinnati area, where snow is no stranger. Gary and Allison, recently of Cincinnati but now in sunny Florida, chose their old favorite Sandeman’s Twenty Year Old Tawny Port. Wine (and Art) Predator’s Gwendolyn, from southern California, wrote a wonderful post about a special, rare, and homemade drink. Then she zagged and actually reviews a nice little Gonzalez Byass Solera 1847 Oloroso Dulce sherry. Our international entry, Bob in Vancouver, reviews a wine fitting of the Great White North as he tackles the 2005 Jackson-Triggs Grand Reserve Sparkling Riesling Icewine on his 2001 Bottles: A Wine Odyssey. Sparkling wine made two appearances. Michael at Undertaking Wine (what a great title!) in New York tried a New York sparkler, the Pindar Vineyards Cuvee Rare. 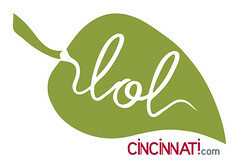 In one of my two favorite Wine Blogging Wednesday entries, Tom at Louisville Juice explains his hatred of winter and his need for the Gloria Ferrer Blanc de Noirs to help him with a hallucination of springtime. Then there were those who took me up on the offer of breaking away from wine and indulging in a different sort of spirit. Sort of straddling that line, Tanisha at the Grapevine, recently stranded in the great December blizzard in Washington DC, recommends a semi-homemade mulled wine to keep you warm. Liza of the Bay area Brix Chicks took this opportunity to talk about her favorite (and mine!) vodka from Hangar One. She even includes some creative decorating tips! Wrapping it all up with my other favorite entry, Adam at Wine Zag writes about vacationing in Puerto Rico and introduces us to some fantastic boutique rum. My thanks to everyone for their creative entries and to Lenn for letting me host! I encourage you to visit all of these great blogs and learn a little about what everyone is drinking on a snow day. When I think of a snow day, I think about curling up in front of a roaring fire. Let’s face it, I’m not a winter girl. In fact, one of my friends recently called me a Sunshine Girl and he was right – I love to be warm. So when faced with this month’s Wine Blogging Wednesday theme (which I chose), all I could think about was port. Port is the type of wine that warms me up from the inside. Port was originally a Portugese style of fortified wine. Under EU Guidelines, only port from Portugal may be called Port or Portugal. However, everyone makes it and outside of the EU, you’ll often see “Port” used to denote a fortified wine. And no wonder port wine warms me up. It is fortified. Winemakers add a neutral grape spirit that stops the fermentation, leaves residual sugar in the wine, and ups that alcohol content. 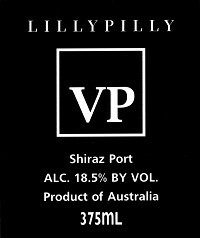 So the other night, after braving some rather biting wind, I popped one of our Duraflame logs into the fireplace and we poured out a bottle of Lilly Pilly Estate 1995 Shiraz port. This particular port is from Australia, not Portugal, but it honored the “Port” name well. At 18.5% AbV, it has a lower alcohol content than many of the ports we drink (which often top out around 20%). But it certainly went down fast and easy. Port, with the sugar and alcohol content, is a sipping wine, but the 375 ml bottle still disappeared quickly. The Shiraz port had a lot of raisins and, surprisingly, rum on the nose. It’s an obviously heavy wine and it was dark, almost chewy. We caught flavors of raisins, plums, and figs, as well as the obligatory dark cherry. It was the perfect wine on a bitterly cold evening – a great way to round out a snow day! Stay tuned for the Wine Blogging Wednesday Round-up – the complete list of everyone who participated – to show up early next week. Still want to participate? Get your link to me by Friday, Jan 22 and I’ll make sure you’re included in the WBW round-up! Reminder: Wine Blogging Wednesday is Next Week! Don’t forget! Wine Blogging Wednesday is next week! We’ve had a lot of snow here lately, so it should be easy for us. The topic is Snow Day wines. Give me a great Snow Day story and tell me all about the wine that makes you all warm inside on those cold winter nights. Again, you don’t need to have a wine blog – you can post this on any ol’ blog. Just email me at wbw65@wine-girl.net on January 20 with a link to your post. If you don’t have a blog, write up a short review of the wine and email that to me. Either way, it works! Announcing WBW #65: Snow Day! Wow! I have to say it’s kind of cool, hosting the first Wine Blogging Wednesday of a new decade. I should probably have picked something profound, something relating to New Year’s / New Decade resolutions and change. But no – because I’m cold. Here in the midwest, it’s freezing. My friends in DC were recently under a couple of feet of snow, and over Christmas, folks were shoveling here in Cincinnati as well. You know what? I hate snow. But growing up, I always loved a snow day. But let me back up a moment. If you’re new to WBW, I should probably explain what’s going on. Way back in 2004, my friend Lenn at the New York Cork Report started up a virtual tasting event he called Wine Blogging Wednesday. The idea being that people interested in wine, the world over, would coalesce each month around a single theme. People would then submit their blog posts or email in reviews, and those would all be organized and shared. It was a hit. Many editions later and here we are at Wine Blogging Wednesday #65. This month, even if you’re in warm sunny Florida or Los Angeles, I want you to look out your window and imagine Snow. Snowmen, snow balls, igloos, snow trucks, snow … cold, cold snow. Then I want you to imagine what that makes you want to drink. Do you want to curl up in front of your fireplace with a port? Maybe you want to pull out a cabernet sauvignon or a big juicy zin and then put on your snowsuit. Are you a glutton for punishment and you’re pulling out a chilled riesling before heading out to build a snowman? Are you inspired by vintners who are braving frigid temperatures to make icewine? In this particular instance, I’ll even allow you to branch a little away from wine if you want. With a valid story behind you, there’s no reason you can’t pop open a cognac, a brandy, or even bourbon. Imaginary “bonus points” for anyone with a wonderful Snow Day story of their youth , a great photo of snow and wine, or even a Snowman and wine! WBW 65: Snow Day! will take place on Jan 20 (which is in between my trips to the sunnier side of our nation). Please send your info to me at wbw65@wine-girl.net. If you blog, send me a link. If you don’t have a blog, that’s okay too. You can email me your Snow Day review and story and I’ll include it in the overall roundup that will be posted a few days later. So there you go. Have at it, everyone! Build snowmen, drink up, and keep warm!